Not only for the men who were intense and try hard to have a six-pack stomach. Therefore, most of them looking for the best abdominal exercises for women to gain muscles to support their appearance to be more perfect. Having six-pack stomach is one of the factors a person can increase the sense of confidence in the environment. By having a this to their abdominal, then they will increasingly make the body more healthy and fit. There are various ways to form a six-pack stomach for women with fast and natural. Then for you women who do not understand how to get a right way of six-pack stomach, here are some tips that hopefully can help you. These ways will reduce the fat stored in your stomach and change it to look more flat. The trick can be done by adjusting your diet. Avoid consuming processed foods or junk food so your stomach does not accumulate more fat. But the most important thing is you have to do abdominal exercises that can help get maximum results. So keep reading this article so you know the information. By doing sit ups, this is one way to help build your abdominal muscles. Women can do it regularly in the afternoon. But do not get it wrong, you should do it in the right position to get a perfect result. The correct sit-up movement is with the supine body with both knees bent and the hands behind your head. Do this over and over again. With cycling, this is also an effective way to get perfect abdominal muscles. Your contracted fat will disappear and turn into a good form of abdominal muscle. Do cycling exercise for approximately 30 minutes to burn your body fat, especially the abdomen and thighs. By pedaling a bicycle then your muscles will be attracted and do more moves like sit up. Besides to the two sports above, this is also an important thing you can do to get your stomach muscles tight. This is one easy exercise that can help remove fat in your stomach then make your stomach look slim and six pack. You can routinely do it to get a satisfactory result. This also an easy sport that you can do every time. Cardiovascular exercise is one way to gain muscle mass. You need to do a few minutes to keep your belly flat, but do not need to overdo it. The American College of Sports Medicine recommends 60 to 90 minutes of cardio to lose weight and 30 minutes to maintain health. Choose a type of cardio that you like so you will stay motivated to perform it. You will get a good muscle to perfecting your appearance. Standing with your feet shoulder-width apart, hold a weight in your right hand. Keeping your body upright, resisting the weight pulling in one direction, lower yourself into a squat position. Use your glutes to raise into the start position. This is one of the best workouts that you can do in the best abdominal exercises for women. Don’t wait so long, let’s follow those exercises above to build your muscles on abdominal. Make your body more healthy also. In other hands, rather you can get a good muscle, your stomach also become slimmer. 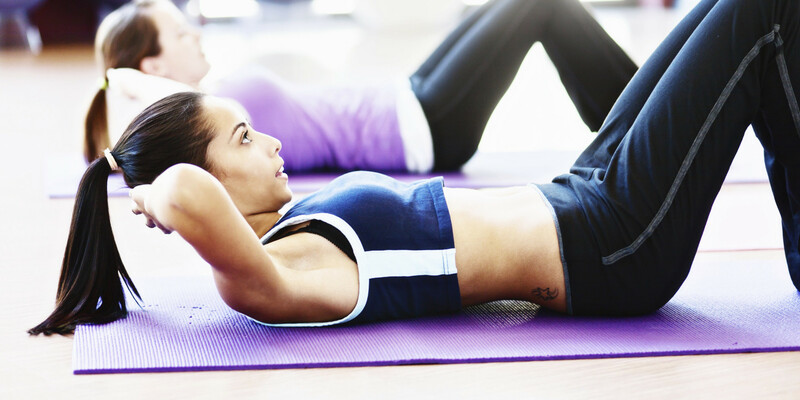 That’s all about the best abdominal exercises for women that you can do every time. Good luck!